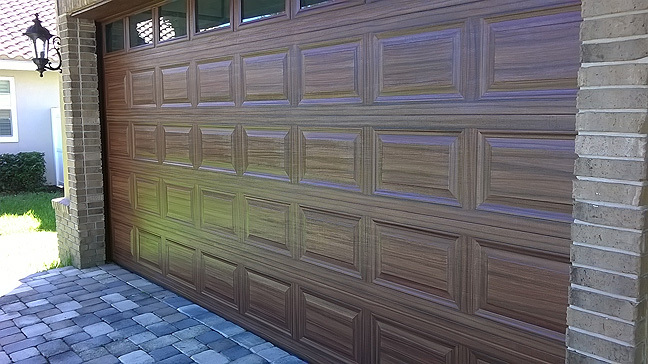 I finished a new faux wood grained garage door last week. This door was painted to match the real wood door to the entrance of the home. It is a walnut color but probably like a warm walnut tone wood. The absolutely most important thing to know about working on a garage door is to use ONLY 100% acrylic paint. NEVER use any oil based or alykyd based paint or sealer. So the first thing is to prime the garage door. Typically new doors like this one have a white paint on them. It is an aluminium or steel door that has been painted with a factory finish on it. So what I do is prime it with a primer called Benjamin Moore Fresh Start, that is an acrylic based primer for interior slash exterior and you can paint. What I like to do is tint the primer before I paint with it. If you can't find a paint store that will do that you have to paint on the white primer and then put a basecoat on before wood graining. A really good basecoat to use for a walnut look is a Benjamin Moore Peanut Butter or one called Dark Mustard. It will look pretty gold when you paint it on but don't worry about that. The reason you want a very gold base is it will give the wood look that warm undertone it needs to look authenic. If I am trying to make the door look more mahogany or cherry I use a Sherwin-Williams color called truepenny 6355. That will make the door look like a pumkin at first but it gives the final wood tone you want. Typically when I use Truepenny for the cherry look I use a SW color Fiery Brown for the actually wood tone. You want to use acrylic paint and not oil. You can use a similar color paint from Benjamin Moore using their Mooreguard line for exterior. Back to the walnut colored door. I use a SW color called Java for the wood tone. (By the way use exterior paints.) A quart is way more than you will need to do a double garage door. After painting on the grain pattern with the Java color and it dries I take a black and mix it with the Java about one to one. Then I go over the same area again with that thined down a little with Floetrol or use some of the clear seal product that I use to thin the paint. That product is called Varathane Spar Urethane Waterbased. I buy it a Lowe's. At this point you just want it to be a transparent pass like a glazing effect. I have found out that using this two color pass technique really makes it work to where the door will look real. Take a look at the first picture. In this picture you can see I have done the top two rows. You can also see how I have taped off the vertical areas to paint. Now with all the garage doors I have done, the factory imprinted grain pattern goes horizontal, that is fron left to right. But if this were a real wood door that would not be the case. The areas I have taped off would have vertical grain pattern. So that is the way I paint it reguardless of the imprinted grain pattern. Just inform your client about this before hand. In the next picture you can see what I mean better. See how the grain goes vertical in the places it would if the door where constructed out of real wood. When that dries I tape it off to do the horizontal grain direction. A caution here is only use the blue tape that says its for sensitive areas. Don't use the regular blue tape. Because typically like this job I only have about 30 minutes to an hour between coats so the regular blue tape would rip off the freshly painted paint. In the last picture you can see how I paint in the horizontal grain pattern. After it is all done I top coat it with two coats of the Waterbased Varathane spar urethane. I'm in the middle of a similar project. I've used 100% acrylic exterior paint and still have to do one more pass and finally a few coats of polyurethane sealer. I can only do this on weekends as I work long hours during the week. I've just heard that they're predicting rain this week. Do I need to worry about protecting the door in progress? (I could use some heavy strips of plastic that the cars can drive through- a pain, but doable). My coworker tells me if it's acrylic exterior paint, I don't have to worry, but I know that the top coats are pretty thin, since they've been cut with glaze. Also, I'm curious about the spar urethane. Varathane told me that you can't use it over paint- you've had no problem with it? Thanks for your advice! I've already bought a couple of quarts of a polyurethane that says it can be used on painted metal, but I'll try to return those, as I'm sure a spar would give better protection against UV and moisture, and my garage door faces directly into the 110 degree afternoon sun all summer long. Being that it's going on a vertical surface, do you have any advice regarding application? (not dripping, etc) I had bought this disposable sprayer device with a few extra cartridges. The guy in the paint store said that the poly would be thin enough to work in it. I cannot emphsize enough the importance of NOT using an oil based product on the door. Just make sure when you get the Varathane its the waterbased Spar. As to applying. It takes longer but I use a brush. I use a brush because rollers seem to leave little bubbles in the varathane when appling and a brush will not. I try to apply two coats to my jobs. Your information is just what I needed. Thanks! I had attempted this last summer on our front door which is metal. unfortunately I did not read your blog and used gelstain and probably an oil based polyurethane because within a few months, the door looked horrid. Now, I am going to attempt to strip the door and start all over with your technique. I was hoping for a cherry wood and will use the colors you suggested. Since I have am metal door, should the primer be a DTM (direct to metal paint)? How do you do your wood graining? With a graining tool or by hand with a coarse brush? With the cherry colors, do you still add some black like with the JAVA? I use "Fresh Start" a primer by Benjamin Moore for my garage doors. I do my graining with a brush, typically an old brush that looks like you'd throw it away but they work good for graining. Yes I would still do a second coat of adding black to the color of the first coat. Work on a sample board before you do it on the door to make sure its not too dark for your taste. Now the vertical sections (the parts we're trying to faux vertical grain) do you do step 4 and 5, and then the horizontals for 4 and 5? Or can step 4 be done for the whole door, and only 5 needs the taping/seperate attention. As for the glazing, any preference? Any percent mix recommendations? Thanks Robert, thats what I thought, but just wanted to be clear. Thanks. I started a test panel last night on some scrap aluminum I had. My first question is regarding the 'grain' coat, color to black is 1:1, how much of the Spar Urethane (water based) do you add in? Second is the top color, I'm shootign for a mahagony like color, right now I am testing with base of TruePenny, and topcoat of Fiery brown, but thats definitely leaning toowards cherry. Mayeb with the 'grain coat it will 'calm' down? Or do you have other color suggestions? Again thank you for all the help. Thanks, I'll look at that color combo. My test panel looks pretty good for a first try, the grain coat did 'mellow' the tone. I practiced a bit and think if I actually mix two grain coats, one with 70/30 color/black and the other 30/70 color/ black, and make two passes of the grain coat, I get a nice realistic affect with a nice natural looking variation. I'm going to take my test panel into the sun today and see how it looks from there. Damn the SFL rain!! Also for anyone else, I have to order the Varathane Spar Urethane (Water based) as only the oil version is stocked locally. So if you don't see it, ORDER it!!! I think you've done your homework. Glad I didn't jump into an outdoor project with an indoor medium. That's correct. I would not use an indoor glaze medium for any exterior work. Good luck with your door. By the way I have done 3 garage doors this month already and have one I am starting on Monday. One quick question. What kind of sheen is used on the base coat, java, and the black. I was thinking about going with a semi-gloss but wasn't sure. Thanks for your website it is very detailed and helpful. Thanks! I always like a satin sheen but some clients like the semi-gloss. just a personal preference. Always use 100% acrylic products and you can't go wrong. I have emailed and spoken on the phone to the 3 biggest garage door manufactures in the country. They all say use only 100% acrylics for the job of painting. In fact if you go on their websites and find the painting instructions you will also see that if you use oil products it voids the warrently of the door. I personnally have seen a garage door where someone used an oil based product and the paint cracked and lifted off the door. The thing is it took the original paint that came from the factory with it so you had bare metal exposed. That is why it voids the warrenty. A lot of times the homeowner will paint the garage door the same color as the house. I have wood grained several garage doors that were painted with regular house paint and the paint still adhered to the door in some cases for over 10 years. The bottom line for me is if the garage door manufactures tell you not to use oil based products you probably shouldn't use them. I use the same paint to paint the weather stripping around the door and have never had a problem. I could not find the water based spar urethene. I tried to have Lowes ordered it for me. After waiting for months, they called and said that the factory delayed the order for another 3 months. Is there any other things I can use? Can water based polyurathene work? yes, use a product from Modern Masters called masterclear. I haved started to use it instead of the Lowe's product for similar reasons and its a better product so that is great. I would use a scotch brite pad and not steel wool. Steel wool could leave tiny particles of steel which will rust over time. I use a green scotch brite pad and it will dull the shine enough to give the next coat something to adher to. I can not express how much help your site has been 2 me. I have been searching 4 two weeks 4 advise on how 2 paint a manufactured aluminum garage door. I have been painting murals 4 a long time now. Have only painted a garage door twice. In the 70's. So I was a little apprehensive on tackeling it again since much has changed. But now seeing ur set by set instructions. I have no doubt that it will come out beautifully. Thank you sooooo much 4 ur help! Hi Robert......Please tell me how to paint the garage door " seams" without them sticking together. Painting the seams is a real pain. I usually do not do that because of the time involved. They will always stick together because when the door is closed they fit tightly together. When a client does specfically request that I paint the seams I have to open the door and stop it at the point where I can paint them in one at a time. You have to let each seam dry and that takes an hour or so. Then and here is the trick, I use a clear grease and smear it on both surfaces. That way when the door is closed and the pressure of the seam is so great most times it will not stick together and pull the paint off. The reality is you are better off leaving them white if you can. You only see them when the door is opening or closing. Other than that once painted and throughly dry you have to use grease. Thanks for the advise about painting ( not) the seams...I'm going to try & talk the client out of it....Do you roll the primer & base coats on & then brush the glaze? Also, Have you ever used the " gripper" primer. It can be tinted.....Do you charge by the square foot? yes, a quart should be enough to do both doors easily. To tape off sections I only use the delicate surfaces tape. I have been using the yellow tape frog tape sold at sherwin-williams stores. Home Depot has the delicate surfaces tape also. Regular painters tape can pull up the paint. It depends on the weather how long I wait between coats but when its dry to the touch I carry on. Most likely an hour will do unless its really cold or damp out. Be careful how you pull the tape off. Bend it back on itself, don't just try to rip it off and you will be fine. Great!.....Sorry to pick your brain so much but you have been very helpful. ...Would you prime the seal & doors first or complete the painting on the seal before moving on to the doors. I was able to convince the client NOT to paint the seams (spaces) between the doors. I am not sure what you are asking. I prime, basecoat, woodgrain then seal the doors. Sorry, Robert....By seams I meant weather stripping around the doors....long day. Sometimes I paint the weatehr stripping and sometimes not. It depends on the final look. Like I have a garage door to do in a couple of weeks and the house is a dark tan color but the weather strip is white as is the door. So if I just painted the door you'd see a white weather strip around the door and it would look funnuy. So I will paint the weather strip to look like wood or if the client has the house paint I could paint the strip to look like the color of the house. Regardless, I pain the weather strip last. I open the door all the way up to paint the weather stripping. This is great and just what I was looking for. Can you give some advice on a base color for the warm walnut look that isn't Ben Moore paint? I don't have a Ben Moore store in my area. I have Home Depot, Lowes, and Shermin Williams. Thanks for everything. For Walnut I use SW Tatami Tan as a basaecoat color and SW Java for the brown color. Love your instructions! Just what I was looking for. Could I just get a little clarity for my peace of my mind? I have read every post from the beginning. How many coats for the wood grain? 1 or 2? How many coats to do the final sealing of just clear? paint to "glaze" for wood grain? 70/30? Great web log thanks. On the phone today I recommended it to the technical folks at Clopay (the manufacturer of my garage door). 5) 2 coats of water-based spar urethane. (A) Do I have the proportions right for step number 4 (1 part grain coat to 1 part black to 2 parts spar urethane)? (B) Typically, how much time passes between step number 3 (the "first grain coat") and step number 4 (the "grain glaze"). I would think that if you waited too long between step 3 and step 4 then the first grain coat would be completely dry and opaque and the basecoat would then be completely covered and have no influence on the final result. On the other hand, if the "grain glaze" is applied only minutes after the "first grain coat" then the solvents in the glaze could re-dissolve or wash off some of the first grain coat, make it more translucent and reveal a bit of the color of the basecoat. This second scenario makes sense to me. Does it make sense to you? So my question is, how much time elapses between the first grain coat and the glaze coat and during this elapsed time does the first base coat really dry or does it just feel/look dry on the surface? Must the latex paint be clearly labeled as "100% acrylic" or will any "acrylic latex" suffice? you can use acrylic latex its just that 100% acrylic is a better grade of paint. This is the best information I have received for garage door painting. You said you use satin sheen for the base coat and black tint. Is this true for the primer, glaze and sealer? I nearly made the "oil based" mistake and thankfully ran across your web site. I am so grateful for a "how to" so carefully written. Thanks so much. The sheen doesn't matter for the primer. I use a satin sheen for the clear top coat. Send me your real email address to gatorschott@gmail.com and I will send you written instructions if you like. Thanks for the great blog. I was wondering why the topcoat with the urethane? All the paint I used on the door was top quality outdoor paint and should last for years. The urethane would make it much harder to fix spots later from scratches. 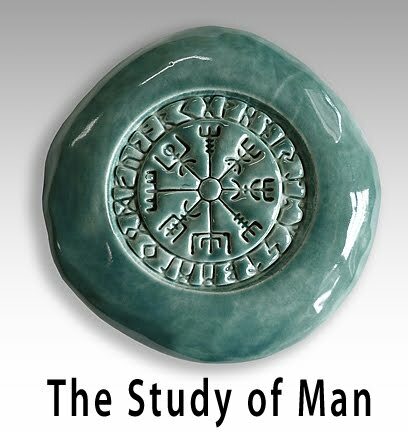 Does the Urethane add depth to the faux? you don't have to use a clear top coat if you don't want to. Its just that people pay me for my work and the extra protection is something I provide. Plus in my mind it looks better. Do you only use brushes to create your wood effect? Do you one brush or several of different sizes, depending on your area of the door? I need some help. I live in a small town in Canada and the Home Hardware Store here carries oil based Spar Urethane only. They can't even order a water based Spar. I can't do the graining coats till I find that...the woman in the paint section looked at me like I had 3 heads when I asked if they had a water based Spar. What else can I use? They carry the Varathane Brand of Water based Urethane but the woman at the store said it won't dry properly unless I'm using other Varathane Brand products under it. What should I use? I can't find a Water based Spar online anywhere in Canada. Just stumbled onto this thread. What would a fair price be to have my garage 15 foot X 7 foot metal garage door painted like this? Raised panels, no windows. I don't want to insult an artist, but ballpark? Thanks! I charge $800.00 for a 2 car garage door if the door is 4 rows high. I am in the process of doing my garage doors. They look awesome so far. Is SW Helmsman water based spar urethane the same as varathane spar urethane? The masterclear is a far superior product compared to anything else out there, you will not be disappointed. Your info is really great thank you. I have been doing interior doors and really feel confortable with using product called zar wood stain. I do a base coat with water based paint, then using the zar stain I do my woodgraining, just using my fingers and a brush, then I do the water based topcoat, they always turn out great. 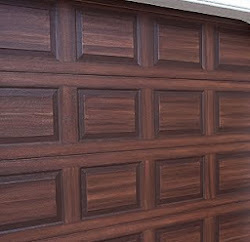 But now I want to try the garage door, and I looked on the zar can, it is oil based stain. So... Now I'm wondering since it is in between the 2 water based paint and top coat, can I use it? I even called them and they assured me I can, but im going to go with what you say. If I cant, what exactly do you think I can use as a woodgraining paint that might work the same as the stain, it's not watery and it's not gel. Ok I hope that all makes sense thank you so much. Personally I would not use an oil based product on a garage door no matter what anyone says. I have seen enough cracking and peeling from oil based products. If you look at the top of the page there is a tab for the garage door tutorial which should answer all your questions. Hope this helps. The ZAR product is oil based yes.....BUT it is a stain...not a paint. There will be no cracking....once done seal with their exterior water based urethane, two coats if ur frisky...Great results! I do not use any oil based products on garage doors and would not recommend using them to anyone. This is so helpful thank you! I actually want to paint my tan garage door to white. Is there a certain white you’d recommend? That’s not blinding or yellowy?